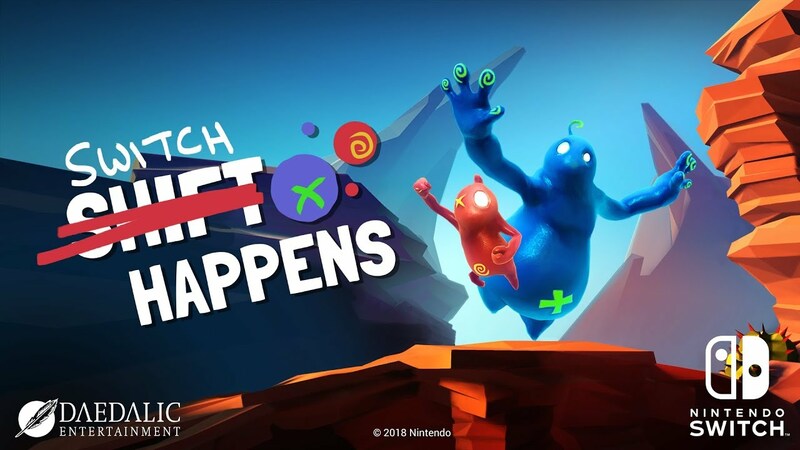 Shift Happens is landing on Switch next week, Daedalic Entertainment has announced. A release is planned via the eShop for October 10. Shift Happens is a cooperative puzzle platformer in which players control the jelly creatures Bismo and Plom, who can exchange size and abilities. We have more details and a trailer below. The two jello jelly creatures Bismo and Plom got connected in a tragic yet funny accident and thus can exchange their size and abilities at will. Welcome to the world of Shift Happens – the only game out there which doesn’t take a closer look at the body mass index and where players are actually forced to work together (and occasionally stab each other in the back). ● Explore a freaked out laboratory where Bismo and Plom had their accident! ● … just to prepare you for the bitingly cold caves! The twist: Shift Happens is pure fun for solo players, yet its full potential can only be experienced together. Play it with your best friend while hanging around on a couch enjoying a pizza. Together you can solve puzzles and fight over precious coins. Coordination and communication are key to a successful journey. We recommend using gamepads for maximum enjoyability. The game also features a singleplayer mode with different level content. Although the game is primarily meant to be played by two people, you can play the completely different singleplayer levels without another person.